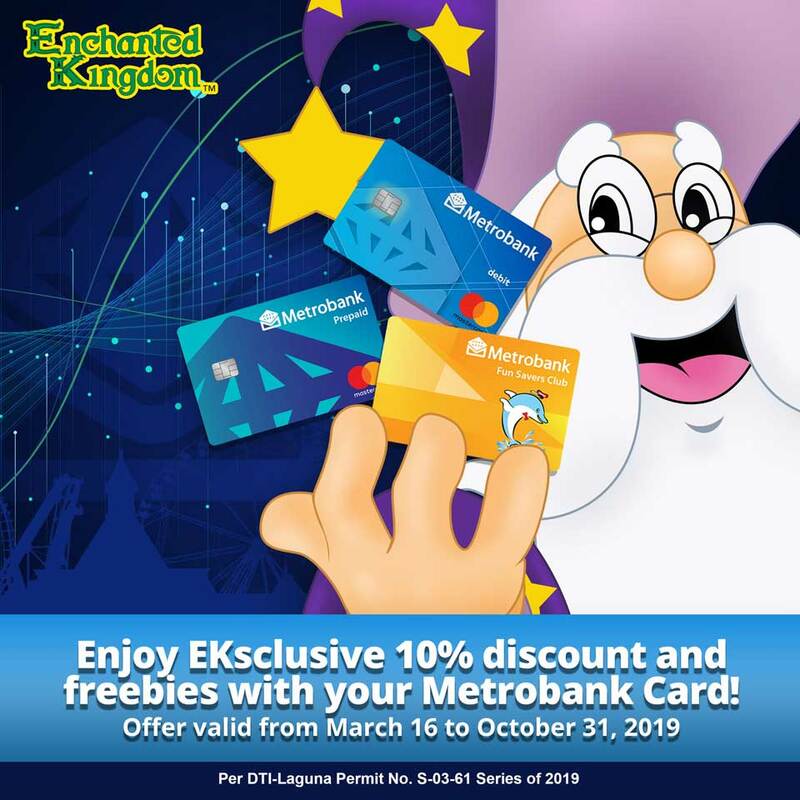 Home / Enchanted Kingdom / metrobank / travel / Travel | Metrobank Cardholders Rejoice!!!! Travel | Metrobank Cardholders Rejoice!!!! In line with the Enchanted Kingdom and Metrobank partnership, we prepared a gift to all Metrobank cardholders! If you’re a Metrobank Fun Savers Club, Debit, or Prepaid cardholder, you get 10% discount on Regular Day Pass (P720 on weekdays and P810 on weekends) and other exclusive freebies. Get a FREE EK Wizard’s Club (EKWC) when you avail of our Birthday Package good for 30, 50, or 100 pax or a FREE Food Cart (choice of popcorn, hotdog, or cotton candy) when you avail of our Birthday Package good for 15 or 20 pax. Simply present your Metrobank Fun Savers Club Membership Card, Metrobank Debit Card, or Metrobank Prepaid Card to avail of these exclusive perks! Tickets may be purchased at the Front Gate ticket booths and Group Sales Office – Santa Rosa, and are good-same-day tickets valid on the day of visit. All tickets cannot be rebooked nor be used in conjunction with any other promos and discounts. This promo runs from March 16 to October 31, 2019.